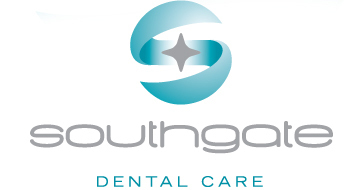 Root Canal treatment also know as Endodontic treatment is a discipline that we excel in at Southgate Dental Care. Dr Carlo Risoli together with our in house specialists ensure that if you have to have a root canal treatment done then you can be assured that you will receive the highest standard of care. Philip qualified as a dentist from University College Hospital in 1989, and subsequently completed a Master's degree in Endodontics at Guy's Hospital in 1996. Philip has been accepting endodontic referrals at the Southgate Referral Practice since 1997, and has been on the specialist's list for endodontics since 1999. He is currently a Senior lecturer and Deputy Chairman of the Endodontic examinations board at Kings College London. He has lectured widely in the UK and abroad and has contributed to several textbooks including the last two editions of Harty's Endodontics in Clinical Practice. 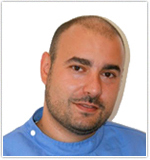 Alex qualified from the Universita Cattolica in Rome in 2002 and completed his specialist training in Endodontics at Guy's Hospital in 2012. 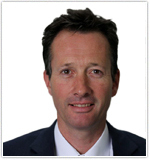 He is currently a specialty dentist at King's College Hospital and supervises undergraduates and specialist trainees. He has lectured widely to Undergraduates and Postgraduates. Root canal treatment is carried out when the pulp (soft tissue inside a tooth) is either inflamed or dead. The pulp is a tissue made up of nerves, connective tissue and blood vessels. The pulp may become inflamed or may die if either there is significant decay in a tooth, if there is a large restoration (filling or crown) or if the tooth has been subjected to trauma. The inflamed pulp may cause toothache or remain pain-free. When the pulp dies, the space it inhabits (the root canal) rapidly becomes infected with bacteria. This may cause pain and swelling in the supporting tissues (abscess) or the tooth may remain symptom-free. After cleaning the root canal system, the space created is filled with a root filling to prevent reinfection. A material called gutta percha is used as the root filling material. This a natural substance very similar to rubber. The root canal system, especially in molars, is often complex and difficult to clean well. This is why many general dentists prefer to refer these cases to a specialist who has the training, equipment and experience to deal with them well. A specialist will use a surgical microscope during treatment, to magnify the tooth to approximately x20, to enhance success rates. The treatment is time consuming because of its complexity but can readily be done using modern local anaesthetic techniques with little or no discomfort. It is normal for patients to experience some soreness after treatment as the supporting tissues of the tooth may be a little bruised. Currently, we can expect success rates of over 90% for first time root canal treatments performed by a specialist endodontist. The success rate is reduced to about 80% when an existing root treatment needs redoing if it has failed. As yet, there are no long term scientific data to tell us how long a root treatment will last although long term failure does not appear to be a problem clinically.